Oil is known by many names including black gold, Texas tea, dino juice and a host of others. Beyond the colorful language, it is indeed an odd thing. Some say lower oil prices are good for the economy, while others say that is a bad thing. Let's quickly explore each version of this story. First the good - lower oil prices mean lower gasoline prices and that means consumers have more money in their pocket to spend. Since consumers are 67% of the US economic engine that should be a good thing. Now the bad - lower oil prices can lead to weakness in bank loans related to the energy sector, driving banks to tighten standards and pushing some borrowers over the edge. There can also be industry layoffs when prices tank and it can lead to spillover weakness in other businesses located in oil driven states to name a few. So given all of that, what is the current status? As of recent point in time, oil was trading at about $48 per barrel. That was up from the $32 low level of 2016 and also above the average of about $40. Still low overall, but slightly better-all things considered maybe not that bad. Next, consider how that price of $48 compares to where we were just 1Y ago. Back then oil hit a high of about $64 per barrel, so the decline in 12 months from that point is about 25%. In any industry that is a big decline, so both regulators and impacted bankers are on edge, setting aside more reserves and monitoring things closely in the industry and related businesses that intersect it or feed off it in some way. To gain a broader perspective, we look at the $48 price and compare it to where things have been over the past 5Ys. During that time, the high water mark reached about $143 per barrel and the average was about $84. Against both these marks we see an even bigger strain occurring, with prices down 66% vs. the high and 43% vs. the average. Those precipitous declines are primary reasons why regulators are concerned and why focus has really ramped up here on the banking industry. 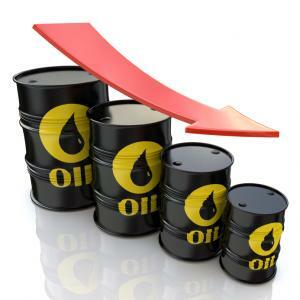 Analysts point to several key drivers for this decline in price, which include such things as higher production, a decline in global demand, a change at OPEC that allows for its members to keep pumping and selling oil on the market, a flood of production from Iran from the lifting of the global embargo there, a strong US Dollar and ongoing weakness in China and other countries. These factors seem to be medium to longer term issues, so the best guess at this point is that prices will remain subdued for now. That means banks are likely to be exposed to ongoing risks in the energy sector. Here, Wolfe Research estimates 33% of oil and gas producers face bankruptcy or restructuring by mid-2017 if oil doesn't rebound. That adds stress and uncertainty, so banks and regulators are taking action. In the most recent quarterly reports, JPMorgan disclosed $30B in unfunded loans to the sector, Bank of America disclosed almost $23B, and Wells Fargo said it had about $17B. According to the Wall Street Journal, 10 of the largest US banks have a combined $147B in unfunded loans to energy firms. At this point, bankers seem capable of managing the risk here and are taking action to do so. That said, some banks have heavy exposures while others do not, so a shakeout could eventually occur if things stay ugly for an extended period-we will keep monitoring and reporting back periodically. Right now, the headline fear is that when hundreds of banks failed in the mid 1980's, oil prices were about as soft as they are now, so concern is running higher than normal. Of course, this isn't the 80's. While no one really knows when things will change and oil prices will creep back up, we will be talking about it and dealing with it for some time it would appear. That means regulators, bank investors and bank boards will continue to zero in on exposures to ensure reserves and capital are adequate. Who knows, perhaps even new regulatory guidance may begin to flow from DC, depending on what examiners find out there. Yields were unchanged as anticipation continues to build around a rate hike leading investors to move to longer-dated bonds. Allianz's chief economic adviser Mohamed El-Erian said in a CNBC interview that the market is underestimating the Fed and thinks rates will definitely move by Sep and probably by Jul. Meanwhile, Bloomberg reports Fed San Francisco President Williams says the Fed can act to raise rates in an election year and that it would not stop them from doing so. Finally, the Financial Times reports Fed Boston President Rosengren says the conditions that would lead the Fed to raise rates are "on the verge of broadly being met" and that a "more normalized situation makes sense." Moody's reports US companies hold $1.7T in cash and 5 companies hold close to 30% of that amount (Apple, Microsoft, Google, Cisco and Oracle). Of note, about 71% of the total ($1.2T) is sitting overseas. The Fed reports outstanding credit card balances reached $952B in Q1 and analysts say that puts growth on track to reach $1T this year, a level not seen since before the crisis and close to the all time high water mark of $1.02T (Jul 2008). Banks have been pushing hard to build activity and consumers seem to be open to putting more and more on plastic. Community bankers will be interested to know that a survey by Adobe finds 62% of Gen-Xers and 53% of Millennials do most of their banking online now.